The Rough Trail was designed to handle areas where strong currents and large swells created by an uneven seabed make fishing difficult. It is able to trace a line in rough conditions where even the reputable Tide-Minnow loses balance and jumps out of the surface. 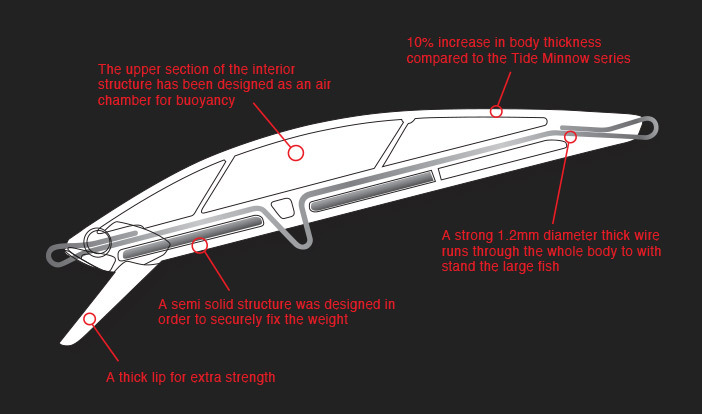 During the design of this lure, top priority was placed on its strength and swimming response. The design includes an internal wire through the center of the body, and weight fixed low in the body to give a low center of gravity. We sacrificed some castability to optimize the lure’s swimming response and its strength. In addition, we reduced the lure’s water resistance at high retrieval speeds. 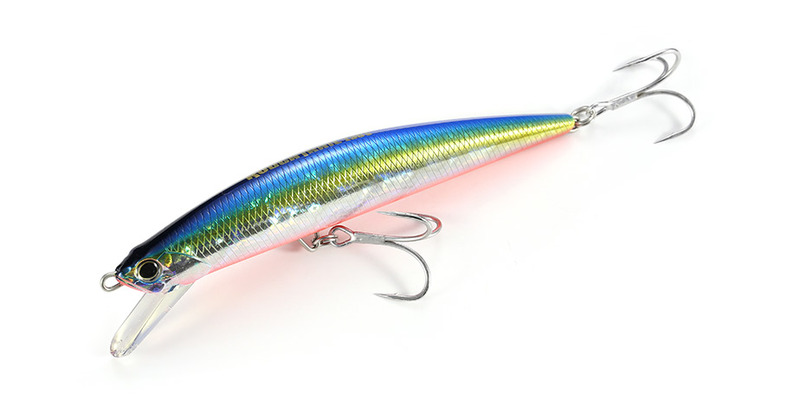 It is a user-friendly lure which nevertheless catches the water well.